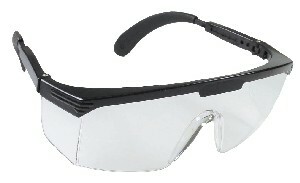 Radians Safety Glasses Galaxy Model GX0110ID features a stylish wraparound design that provides excellent protection at a very affordable price. The one piece lightweight polycabonate lens offers integral side shields with adjustable temples. Meets ANSI Z87.1 standards.